The associate director for Cancer Prevention and Control Research is appointed by and reports to the director of the Lurie Cancer Center. The position is responsible for the development and coordination of the Lurie Cancer Center's two research programs in Cancer Prevention and Cancer Control and for fostering interdisciplinary collaborations and inter-programmatic interactions within the division. In addition, the associate director works closely with the director and other senior leaders to facilitate collaborations with the basic and clinical science divisions. The associate director also serves on the Center's Executive Committee and Leadership Group, thus playing a key role in setting strategic direction, policy and priorities for the Lurie Cancer Center. David Cella, PhD, is a top scientist studying how to measure outcomes among cancer patients and the quality of life for patients in medical clinical trials. He is a professor of Psychiatry and Behavioral Sciences and head of the Department of Medical Social Sciences at Northwestern University Feinberg School of Medicine. This newly created department focuses on health measurement, quality-of-life measures, outcomes science and statistical tools used to support clinical research. Cella has received several grants and contracts to study questions regarding quality-of-life measurement in clinical trials, cross-cultural equivalence of quality-of-life measurement, efficacy of psychosocial interventions in oncology and medical outcomes research. 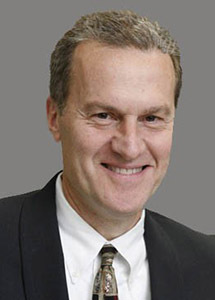 As the principal investigator of the Statistical Coordinating Center for the NIH Roadmap Initiative to build a Patient Reported Outcome Measurement Information System, his current focus is on quality-of-life research and standardizing the measurement of major conditions that are important to people, such as fatigue, pain, depression, anxiety and social function. Standardizing the concepts and the way they're evaluated will allow scientists to apply the measures across different diseases and within diseases across treatment settings and situations. Consequently, scientists will have a common metric and be able to discuss a fatigue score or a distress score in a common language. Cella is also principal investigator of Neuro-QOL, developing item banks for the clinical trials supported by the National Institute of Neurological Disorders and Stroke. He has authored more than 300 publications in the area of quality-of-life measurement in clinical trials and clinical practice.